When there is pain, there is an imbalance or blockage of energy (qi) circulation through the body. Acupuncture is effective in unblocking and improving the balanced flow of energy to manage and/or resolve pain. Dr. Gray has successfully treated all types of pain from acute to chronic, from neck pain to feet and everywhere in between. Acupuncture is most effective at treating chronic pain, such as headaches; menstrual cramps; and low back, neck, or muscle pain. It can also be used to treat arthritis, facial pain, pain from shingles, and spastic colon and colitis conditions. The practice of cupping may date as far back as 3000 BC. The cupping procedure involves creating a small area of low air pressure next to the skin. This is done heating the cup or the air inside it. As the air inside the cup cools, it contracts and draws the skin slightly inside. Cups are used only on softer tissue that can form a good seal with the edge of the cup. They may be used singly or with many to cover a larger area. 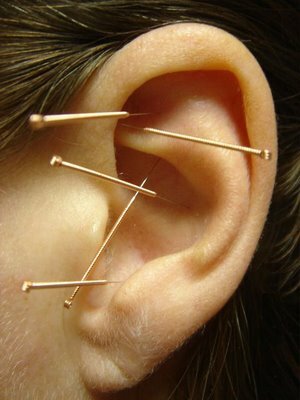 They may be used by themselves and placed on a meridian or they can be used by placing them over an acupuncture needle. This treatment is commonly used in conjunction with other treatments and in not painful. Dr. Gray has helped dozens of couples conceive through TCM. With Traditional Chinese Medicine you can boost fertility naturally to guarantee your body is in the best condition to conceive. TCM has been used for thousands of years to treat issues of reproductive health. Women may experience symptoms of imbalance related to their menstrual cycle (irregular cycles, excessive cramping, PMS symptoms, heat/cold, abdominal bloating) that may result in fertility difficulties affecting aspects of the reproductive cycle: egg production, hormonal imbalance, ovulation, implantation. Similar energy disturbances in men may result in poor sperm production, shape, or motility. TCM helps restore balance by utilizing acupuncture, herbal formulas, nutritional supplements, diet and or lifestyle suggestions. It can also help reduce stress, which is can affect fertility levels. Stress during any phase of the cycle can affect hormones released by the pituitary which can prevent the release of the egg, or can cause the fine muscles of the fallopian tubes to tense and contract hindering free movement of the egg to the uterus. Stress can also reduce the level of hormone output so that it looks like ovulation has occurred but in fact it hasn’t. In addition to using TCM treatments for fertility, whenever possible, eat organic whole fruits vegetables and hormone free meat and avoid environmental toxins, pollutants. Dr. Gray has diet and supplement recommendations for both men and women to help raise the chances of conceiving. Acupuncture can effectively reduce nausea/ morning sickness in the first trimester of pregnancy. Sciatic pain may also be alleviated using acupuncture. Notably, breech presentation using moxabustion to encourage the baby to turn especially if treated between Week 32 – 34 is very effective. After an introductory treatment session, Mom is sent home with a moxa stick and instructions to continue treatment at home. TCM can also be used to help with preparing for labor , an acupuncture treatment called ‘ripening’ and this is generally done from Week 37 to term. If one becomes overdue, past week 40 and with permission of the primary care giver (MD or Midwife) acupuncture treatment can be employed to help get labor started. Ensuring your body is in optimum shape when undergoing IVF/IUI is of the utmost importance. It is recommended to have two acupuncture treatments per week for four weeks prior to retrieval or IUI procedure. The research around this protocol has been shown to effectively increase blood flow to the reproductive organs thereby increasing ovarian/uterine responsively to hormonal stimulation and improving the pelvic environment. It also reduces stress and tension, calming the uterus in preparation for implantation and minimizing side effect symptoms associated with ART medications enhancing overall well being. Dr. Gray uses an allergy elimination technique developed by Dr. Devi Nambudripad which is a synthesis of various medical disciplines: kinesiology, acupuncture, acupressure, chiropractic and Oriental Medicine principles. The treatment utilizes Muscle Response Testing or kinesiology to determine the imbalance in the body caused by the allergen. By stimulating points along the spine while holding a vial containing a vibrational replication of the allergen, a change occurs, re-establishing the communication between the brain and the body via the nervous system. Specific points are then massaged or needled to stabilize the treatment. A period of elimination of the allergen for 25 hours following the treatment is necessary to successfully complete the desensitization. This technique is non-invasive, painless and effective in eliminating allergic sensitivity.